Łódź is busy readying itself for an influx of new companies. The city is investing in its road and transport infrastructure as well as revitalizing some of the city's quarters. As a result, Łódź is attracting more investors .These include companies from the rapidly expanding business services sector which are fuelling the expansion of Łódź's office market. New office clusters are being developed throughout the city. In 2018, the city will gain another 45,000 sq m of modern space. However, the business services sector is not the only sector that is powering the city’s economy. Łódź has become a sought-after location for international companies looking for new premises in the Central and Eastern Europe region, especially those from the business services sector. The city is attracting major international players with factors such as favorable economic indicators, excellent location, access to qualified staff and modern office space. The city is focusing on infrastructure investments, revitalization and inviting prospective investors to the city. Łódź is currently undergoing a remarkable transformation which is recognized by decision-makers from some of the biggest international companies. In 2017 alone, companies such as Nokia (up to 250 jobs), Digital Workforce Services Ltd. (120 jobs) and ZF Group (200 jobs) decided to launch their business activities in Łódź. Furthermore, the city enables global players such as Ericsson, Fujitsu Technology Solutions, Infosys, Nordea Bank, and Whirlpool to operate successfully and to expand their businesses in Łódź. The business development of Łódź has been accompanied by the increasing demand for office space, which has resulted in increased construction activity. JLL reports that the volume of office space in Łódź has more than doubled since 2010 and currently totals approx. 438,000 sq m.
In 2017, a total of around 74,000 sq m of office space was delivered to market in Łódź. This number included projects such as Przystanek mBank (25,000 sq m) and Nowa Fabryczna (19,000 sq m). In addition, over 100,000 sq m is under construction. Exemplary major investments under development include: Brama Miasta B1&B2 , Ogrodowa Office, Hi Piotrkowska, Imagine A&B and Monopolis. An interesting phenomenon on the office market of Łódź is the gradual strengthening of existing business locations. A number of office projects are located along the W-Z route, especially in the section between Aleja Kościuszki to the junction of Piłsudskiego and Śmigłego Rydza, where Monopolis is being developed. So far around 120,000 sq m of office space has been developed along the W-Z route. The popularity of this location is a result of it being well-served by public transport coupled with its central location as one of the city’s major arterial routes. According to JLL, if all objects currently under development will be completed on time, by 2020 the city will gain a further approx. 110,000 sq m along this route. It is also worth mentioning newly-developed business locations. A new office cluster is being developed in the vicinity of the Łódź Fabryczna station (Nowe Centrum Łodzi). It currently offers 44,000 sq m with prospects for a further 130,000 sq m in the next three years. According to JLL, lease agreements for 58,500 sq m were concluded in Łódź in 2017. Due to the high absorption of office space, Łódź enjoys a stable vacancy rate of 9.5%. For several years we have been observing increasing investor interest in Łódź, predominantly because of the number of skilled workers. This in turn has sparked interest in Łódź's office market. It is worth underlining that the business services sector remains the city's main tenant. The industry very much favours Łódź with 2017 seeing the sector's share in the overall volume of leased office space standing at 80%. Business services centres are being launched by new players while existing companies have been expanding for some time now. According to ABSL, employment in the BPO/SSC sector in Łódź currently stands at 18,100 specialists and is set to increase. As business in Łódź increases so will opportunities for developer investments. 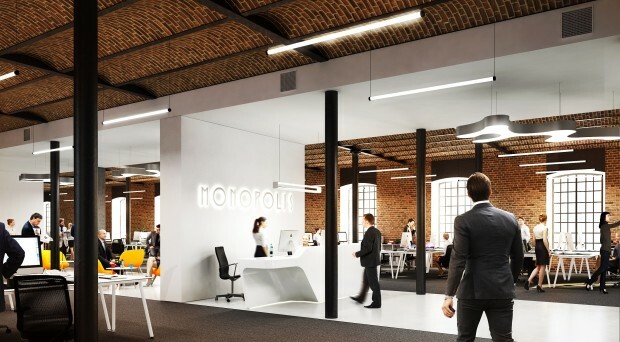 Revitalization of historical, industrial schemes is one of the key trends in Łódź, also when it comes to office market. One of the most interesting examples is the newest project from Łódź-based developer Virako. “Łódź is undergoing a rapid transformation. However, the city has not forgotten about its industrial roots. Investors benefit from the industrial tradition of Łódź and are adapting the city's red-brick factories to business in the 21st century. An example of this is our flagship project - Monopolis. On the site of the historic Monopol Wódczany, built in 1902, we are currently developing an investment that no one has ever seen before in Łódź - an office complex with well-developed services, cafes, restaurants, as well as cultural and recreational amenities", says Krzysztof Witkowski, President of the Board at Virako. New office projects appearing on the map of Łódź constitute part of the changing expectations amongst tenants. For employers, the office is now an important factor in the recruitment process, particularly in the case of business services centres. What counts is not just an office's comfortable working environment but also the surroundings that the building is located in. "There is a large number of companies that are looking for a state-of-the-art office in a unique, designer space, with an expanded range of services and cultural amenities. 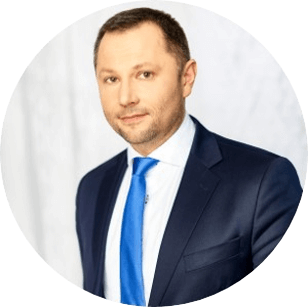 The office marketi n Łódź is able to address these needs”, adds Krzysztof Witkowski.